The “human agent” is at the center of all security researches. Some people refer to human agents or users as “weakest link in the security chain”. It is true that user behavior plays a part in many security failures. This, introductory/intermediate course in the human aspect of cyber security will provide an overview of Human - Computer Interaction (HCI) related sciences and technology in the growing field of cyber security. In addition to learning about cyber security, participants will also learn how to manage and monitor their own online activities, security, and protect themselves from cyber attacks. The first half of the course will be used to make sure that all participants have a solid understanding of HCI in cyber security. The second half of the tutorial will delve into more advanced applications of cyber security and examples of a number of scenarios that might reveal the vulnerability of security and the causes of undesirable user behavior in cyber security. 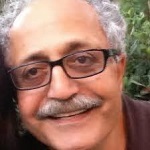 Dr. Abbas Moallem is an executive director of UX Experts, LLC and an Adjunct Professor at San Jose State University and California State University, East Bay, where he teaches HCI, human factors and cyber security. Dr. Moallem has over 20 years of experience in the fields of human factors, ergonomics, human computer interaction (HCI) and usability. He has also served as a senior engineering product manager and usability expert at NETGEAR and as a UI Architect at PeopleSoft, Oracle Corporation, Tumbleweed and Axway for over 11 years. Dr. Moallem has also consulted in a variety of industries in Europe, Canada, and the USA. Dr. Moallem holds a Ph.D. in Human Factors and Ergonomics from the University of Paris (Paris XIII), a Master degree in Biomechanics from the University of Creteil (Paris XI) and a Master degree in Ergonomics from the Conservatoire Nation des Arts et Métiers in Paris, France. He obtained his B.A. degree from the University of Tehran in 1978.